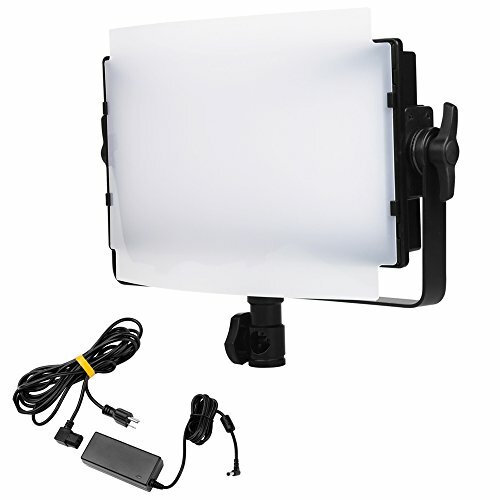 Daylight-balanced color temperature of 5600K that facilitates shooting outdoors or in venues with large windows. Dimmable from 100-0% without color shift and flicker. High CRI rating ensures vibrant, accurate rendition of color. The removable yoke can be mounted horizontally or vertically on a light stand, allowing you to position the fixture so the yoke doesn't cast a shadow. Power your light with the included multi-voltage AC adapter or with two optional NP-F batteries when mains power is unavailable. Note : Battery is not included in the package ! If you have any questions about this product by DOF, contact us by completing and submitting the form below. If you are looking for a specif part number, please include it with your message.